Mo’ Creatures brings additional animals and creatures. This mod makes your world filled with living creatures’ environment the moment you install it. It adds variety of new units to grasslands to water and sky. Mo’ Creatures also loads your inventory with new items to make your mining experience better. 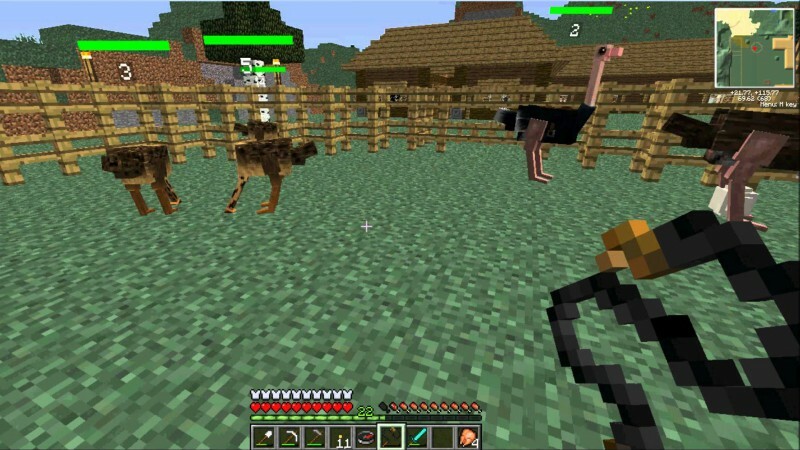 The great thing about this mod is, every animal has its own specialties/skills which makes it even better. They give different rewards, taming options, battles and much more.